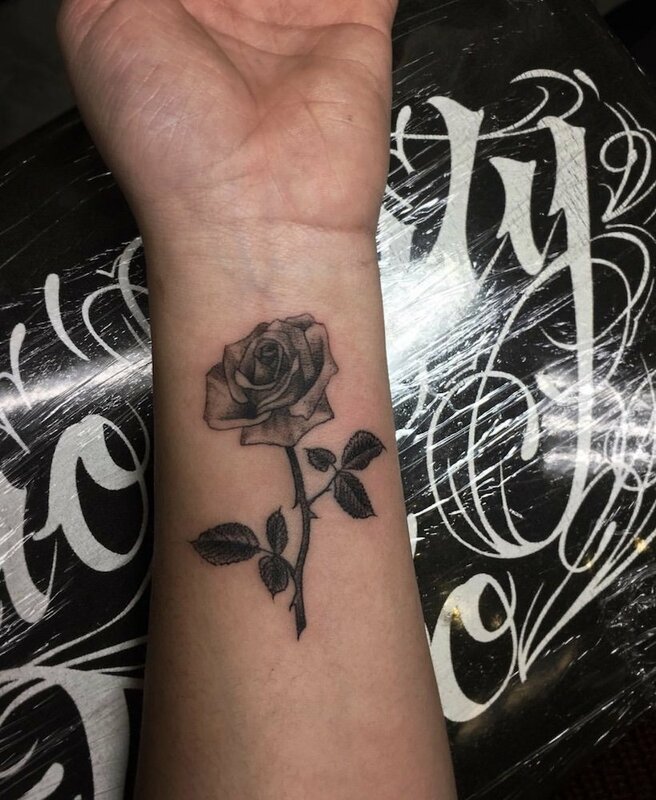 Micro tattoos are all the rage these days as you see the small designs flood the social media channels ( Instagram, Pinterest, etc ) These types of tattoos are rapidly growing more and more popular with the millennial age group who are strongly influenced by the young celebrities. Pop culture is a strong influence on millennials, since so many of those included in this group are young and constantly changing, especially those in their teenage years. As superstars like Bella Thorne and Miley Cyrus showcase their many tattoos on social media, percentages of younger people with tattoos are rising. “A lot of trends are hitting right now, and those trends are micro-tattoos, like really small tattoos. There’s not so much large scale tattoos anymore. 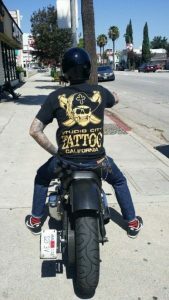 Everybody’s just getting really dainty items,says a well-known tattoo artist in Los Angeles. According to a 2015 study by the Harris Poll, 47 percent of millennials have at least one tattoo, compared to 13 percent of Gen Xers and only 10 percent of Matures. Gen Xers include people born roughly between 1965 and 1984, while Matures include people born roughly between 1927 and 1945. So if you are looking for design ideas for your micro tattoo, here are examples below. Punctuation tattoos have some of the most significant meaning, even if that meaning isn’t always obvious to the untrained eye. Project Semicolon started in 2013 with Amy Bleuel, who lost her father to suicide, as a way to initiate conversation around mental health and to show the world that your story can continue. Today, there are more than 25,000 #semicolontattoo posts on Instagram, from simple designs to colorful interpretations. The ampersand (&) is another popular expression through punctuation that can represent the beginning or end of something profound in your life or a special connection to someone. 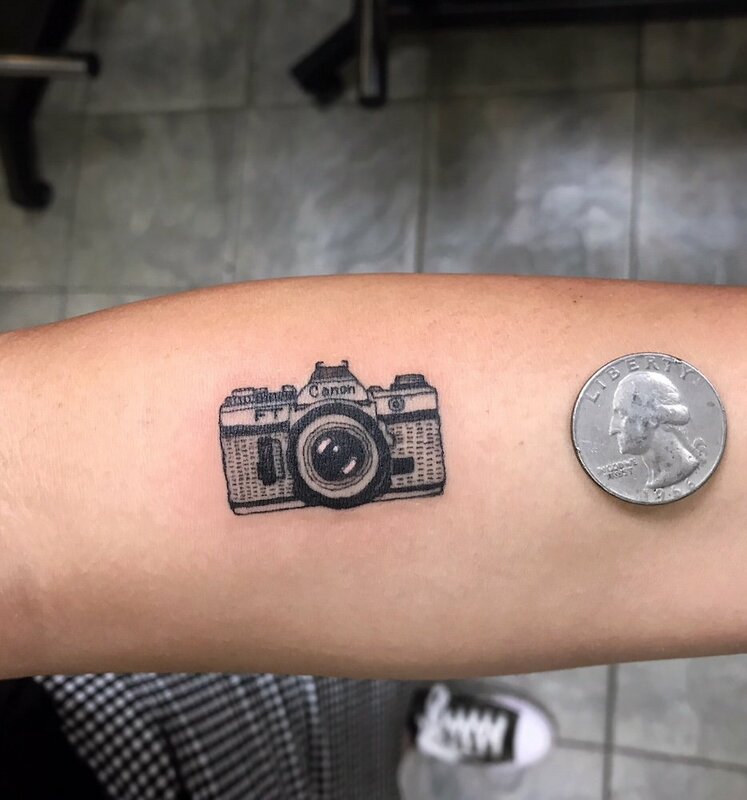 With over 54,000 posts on Instagram, an #arrowtattoo is another popular form of micro-tattoo. A traditional symbol of Native American heritage, arrow tattoos can have different meaning depending on the way they’re designed. A crossed pair can represent a valuable friendship, while a single arrow through a diamond shape can be meant as a sign of courage or strength to persist. An arrow on its own can simply be meant as a form of protection. Animal tattoo designs can have endless meaning, and with over 110,000 tags for #animaltattoo on Instagram as of publication, they are an extremely popular form of expression. Animal tattoos, even minimalist ones, can be a sign of your spirituality – the interpretation of your personality through the design of a stag, a bear, or even a lion. From the fiercely protective to the peaceful and zen, an animal tattoo may say even more about you than it does about zoology. Of course, in the case of cats or dogs, an animal tattoo can be a way to honor a family pet or a loyal companion. Celebrities like Miley Cyrus have made micro pet portraits a fashion trend. Most people would probably get a tattoo of their puppy over one of their spouse. Baby critters are just that charming, but depictions of pets than cuteness. 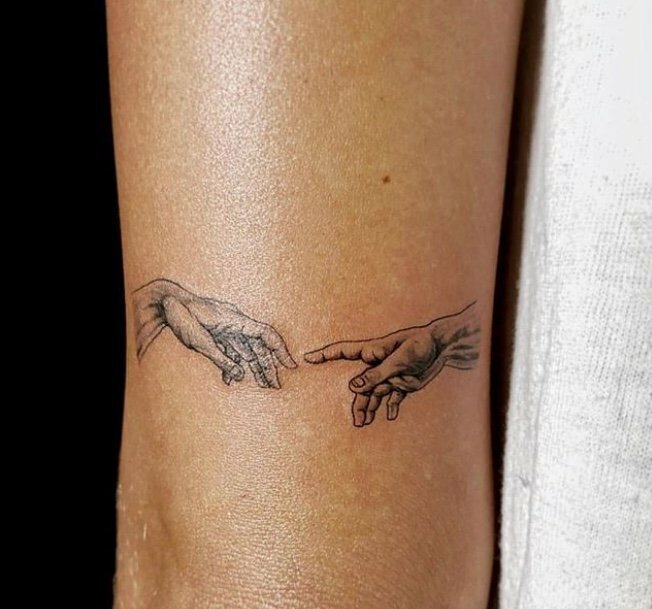 Tattoos are an ideal way to honor the memory of loved ones, and having the likeness of a departed animal companion on one’s skin is one of the most heartfelt expressions a person can make. For those with the ultimate sense of adventure and wonderment, microspace tattoos maybe just the thing for you. With more than 36,000 #spacetattoo posts online, the possibilities are almost as endless as the universe is vast. Whether you want to showcase your own sense of exploration in the world or a hope that maybe we aren’t alone after all, space tattoos aren’t bound by size when it comes to telling your story. Many people that get micro-tattoos choose minimalist styles that operate solely in shades of black. 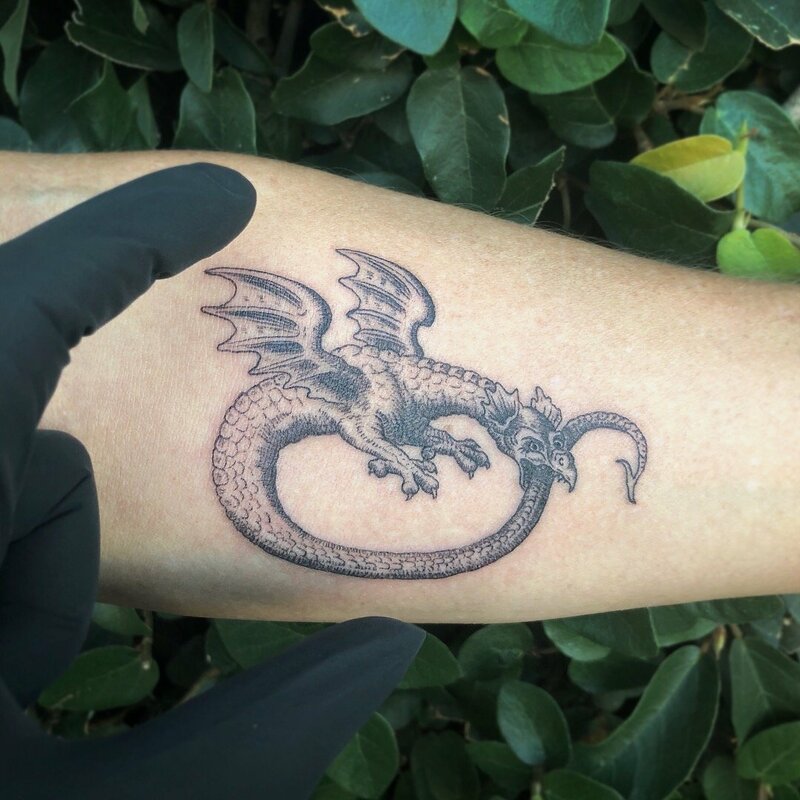 For a truly simple micro-tattoo that isn’t too busy and focuses on the intentional lines created by your artist, going without color may make a bolder statement than adding in additional pigment. One of the most critical things to consider when getting a small tattoo is placement. Small tattoos are great because they can be done almost anywhere on the body due their size, but there are certain areas that are best to avoid. While we often hear requests for small tattoos on hands and feet, you should know that the texture and quality of skin in these areas of your body tends to change as you move from the top of your hand or foot to the bottom. Tattoos on the bottom of your hands and feet will fade or wear more quickly because of the heavy use that those areas of your body see. Some great areas for small tattoos are the lower forearm and wrist, inner biceps, collarbones, lower pelvis, behind the neck, top of the shoulder, top of the back, under the chest, and on the lower legs and ankles. These parts of the body are great to tattoo on because the quality of the skin is less prone to fading and they compliment smaller tattoo designs. When searching for tattoo inspiration, there are a number of large tattoo styles that can be scaled down and look great as a small tattoo. Text and script tattoos often work very well as small pieces. Tribal designs are also simple to scale down properly as they are often very simple in nature.There are also some tattoo styles that don’t lend very well to small designs such as realism due to the high amount of detail required. Asian tattoos as well have difficulty scaling down as the style is meant to be big and powerful which is difficult to recreate in a smaller design.